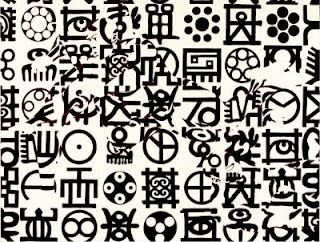 I finally got round to seeing Unbounded: New Art for a New Century show at the Newark Museum. And I must say right away that it is a terrific exhibition not only because of the quality of the works on show, but more important to me is its suggestion of viable model for curating contemporary art in a museum context. There is a reason Newark is my favorite museum. Actually two: first is that it is one of the most progressive older museums in the US, and this is manifest in the diversity of its collection and combined display of fine art and design works in its galleries. And it has a wonderful curator in the person Christa Clarke who oversees the museum’s collection of African art and art of the Americas. But what is it about the curatorial approach to Unbounded? The show draws on the strength of the Museum’s commitment to promoting the “art of our time,” and is the result of truly collaborative work among four curators/departments, Christa Clarke (Arts of Africa), Ulysses Dietz (Decorative Arts), Katherine Anne Paul (Arts of Asia) and Beth Venn, the curator of American Art. 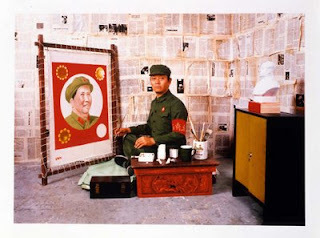 While each curators selected works--most made in the past decade--that speak to various departmental interests, the show's key is in the "transitional" works (such as Wang Jin’s Dream of China, 2005, an ethereally transparent, embroidered “Dragon Robe”, the labels of which were jointly written by two different curators. In the label of this work, and others like it, you see how experts from different areas of art look at, think about, and analyze works of art. This approach proposes, it is quite clear, that the scholarship can be the richer when people look beyond their intellectual cubicles. Which is to say that art scholars need to take a walk outside!, unbounded. 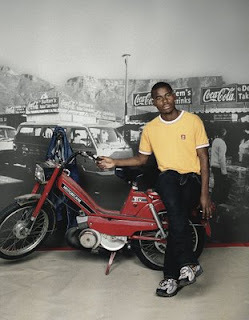 The show then is as much about breaking down boundaries in our perception of contemporary artistic practices as about rethinking how curatorial departments function within the discursive space of the museum. It is almost as if the organizers adamantly avoided the kind of loud, outsized confections you see in many contemporary art shows. 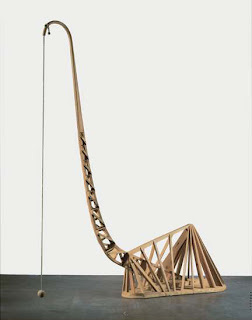 Which is great, for this exhibit is quietly impressive, beginning with first object you encounter right at the entrance, Martin Puryear’s Untitled (1997-2001), a wood sculpture piece at once suggestive of archaic animal life and an indeterminate fructiform. It ends even stronger with Bill Viola’s Dissolution (2005) and Sue Williamson’s Better Lives I and II (2003). 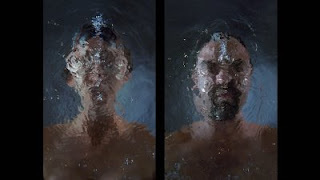 While Viola’s work shows a man and woman enacting as it were the primordial, sacral, entanglement between life and water, that most powerful of natural forces, Williamson’s are studio video portraits of African immigrants locked in an ocular contest with the viewer while amazingly installed sound tracks narrate their stories of struggle, of dispossession, and exile and the challenges of their South African domicile.